The UN report published on Friday January 28 describing a ‘culture of torture’ in this county has been described as a wake up call. But it’s doubtful if it’s going to wake anyone up. The report by special rapporteur Juan Mendez said there were credible reports to show that the notorious ‘white van abductions’ carried out routinely under the previous regime had continued under the new government between 2015-16. The government will of course deny this. As the Yahapalanaya government began exhuming bodies, carrying out DNA tests and arresting suspects for murdering and disappearing people during the Rajapaksa years, we believed that the country’s judicial system and human rights record was about to transform itself. Now we know this isn’t true. The new regime has not solved a single case. 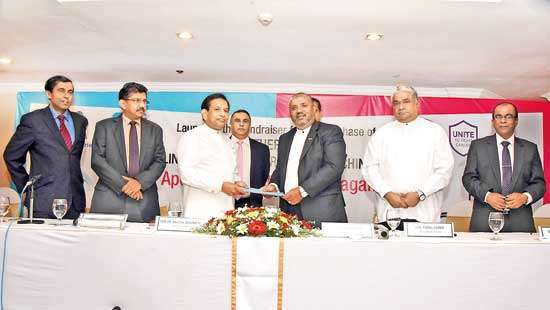 When High Court Judge Sarath Ambepitiya was murdered by a drug lord, the trial was concluded within a matter of months. But the trials of murdered journalists, a rugby player and several Tamil students are dragging on and some of the suspects have even got back their military ranks. Apart from these highly publicized cases, there are many more ‘lesser folk’ whose disappearances have not got any hearing at all. This writer expected the ‘white van’ phenomenon to be a high priority agenda for the Sirisena-Wickremesinghe government elected to power with a promise of a clean slate on many accounts. But no one bothered. There was no committee appointed to look into it. A leading Sinhala newspaper carried a story (with a photograph) when several soldiers and a lieutenant in civvies were caught in a ‘citizens’ arrest’ at Kolonnawa while trying to abduct a local politician during the previous regime. "As the Yahapalanaya government began exhuming bodies, carrying out DNA tests and arresting suspects for murdering and disappearing people during the Rajapaksa years, we believed that the country’s judicial system and human rights record was about to transform itself. " They were spirited out of the Kolonnawa police station the same night and nothing more was heard of that case. 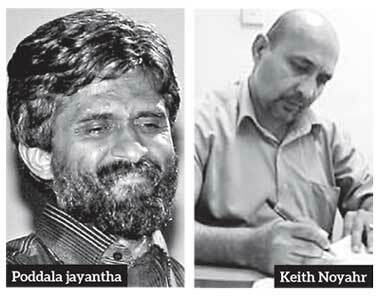 Why hasn’t anyone checked about who came in white vans to abduct and torture journalists Keith Noyhar and Poddala Jayantha? In 2009, this writer was travelling with his family in a hired van to Galle. The driver was a friendly young man who got chatty as the miles rolled on. 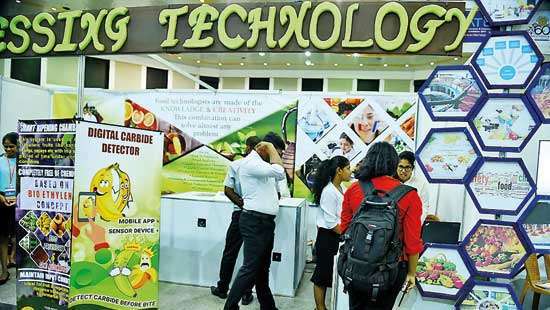 He mentioned that the owner of that rent-a-car-firm was a friend of former defence secretary Gotabhaya Rajapaksa and that this particular van was hired often to transport abducted Tamil youth from Colombo to Vavuniya. I told him he should refuse to drive that category of ‘passengers’ because, should there be regime change one day, (though unlikely as it seemed back then) and an investigation into extra-judicial abductions and murders was launched, he would likely get arrested. He must have taken this advice to heart. When I called him after our journey, he never again answered the phone. 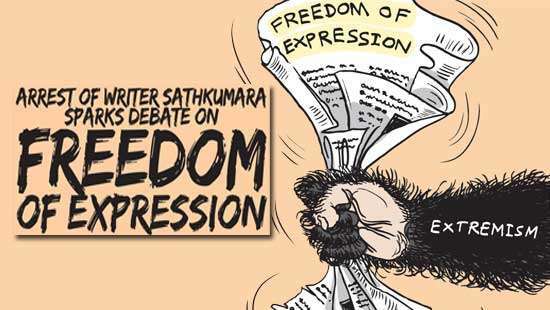 "Why hasn’t anyone checked about who came in white vans to abduct and torture journalists Keith Noyhar and Poddala Jayantha?" But he need not have worried and I need not have bothered. No one remembers the ‘white vans’ any more (except survivors and victims’ families) but the phenomenon exists. Its physicality could always be denied but not the principle. The International Truth and Justice Project’s (ITJP) executive director Yasmin Sooka called the UN report devastating. It calls for an office which is independent of the Attorney General’s office to investigate and prosecute allegations of torture in Sri Lanka.